And for this, WHAT YOU HAVE TO PAY? WHAT PROMINENT PEOPLE HAVE TO SAY ABOUT THIS BOOK? "Simple but SUPER POWERFUL. One of the easiest yet EFFECTIVE Self-Help Book"
An ideal guide to be the one you have always dreamt of. It is not a &apos;Feel Good Motivational&apos; book. Here, you&apos;ll find some of the greatest lessons of life which will compel you to break your stereotypes & rewire yourself for massive success. It&apos;s a well-structured program based on Time-Tested Concepts with Proven Results to help you become SUPER-PRODUCTIVE not just at work but in Personal Life too. RFMS is a GAME CHANGER that works on YOU to embrace Life Transforming Deliberate Changes. Because I want to reach millions of people just like you and impact their lives for the better. If you find it beneficial, share it with your friends and loved ones. Get INSTANT ACCESS to your gifts NOW! He is a Consultant by Profession and a Rewire Strategist & Life Coach by Heart with more than half a decade of Business experience in IT, Business Research, Consulting, Marketing, Training and Customer Services. 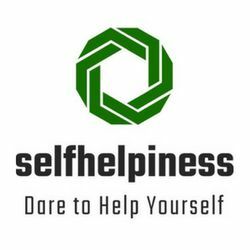 Currently, working on a new concept of Selfhelpiness Quotient, something beyond IQ and EQ.